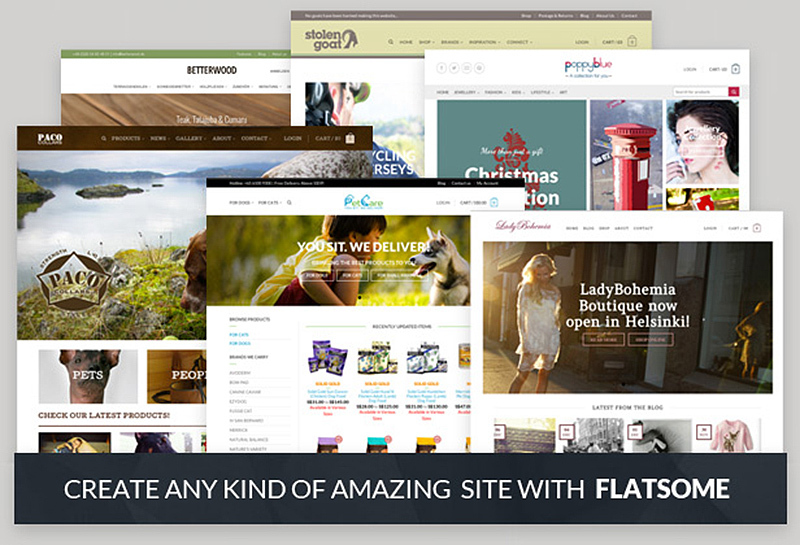 Flatsome is a beautiful responsive theme inspired by modern eCommerce designs. We’re a WooCommerce-only company that loves eCommerce and WordPress. We want your shop to look amazing and be loved by your customers! Easy to customise look and feel. Search products and pages in same search! Multiple product grid styles! NEW in 1.9! Catalog mode option! Hide Shopping functionality and prices. All of the colours, fonts, header and footer layouts etc. can be completely customised. Mix and match the options to get it looking just the way you want it! You can select these pre-defined styles by clicking the “Load preset” button in Theme Option panel.